One of the main duties of the Effingham County Clerk is maintaining records of the County's vital statistics and records including birth, death and marriage certificates and reporting statistics to the State. Divorce records can be acquired by contacting the Effingham Circuit Clerk. 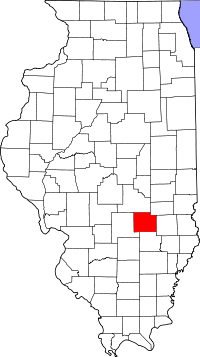 The Illinois Department of Public Health is also a reliable place to obtain vital records for Effingham County. Requests of IDPH, Division of Vital Records can be made by mail or in person at their office in Springfield, Illinois. Other options are also available you search for vital records. These include IRAD or VitalChek if you are a direct descendent of the person you are inquiring about.